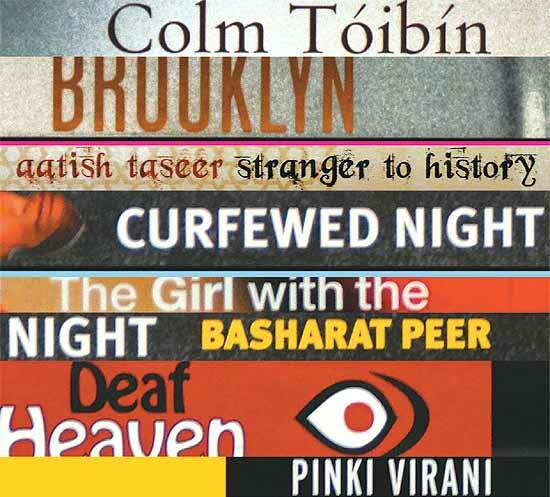 Outlook asked an eminent panel of writers and critics to come up with their choice of the best books of 2009 across different categories. Here’s their take. The book I have been enjoying most over the past several weeks is Ian Jack’s The Country Formerly Known As Great Britain: Writings, 1989-2009—a collection of his newspaper journalism as well as longer essays that appeared mainly in Granta (which Jack edited for a dozen years). Jack’s unique tone, a wry melancholy (like a more astringent version of W.G. Sebald), emerges from and expresses his constant theme—the dismantling of a great empire, country and industrial society, Great Britain—and he tells this grand come-apart through the everyday lives and small details that made that empire. The pieces move between provincial Scotland, where Jack grew up, and the Indian mofussil, from where—tracing the many weird forms of the British-Indian connection—he has filed some his most memorable stories. The book is anchored by two masterly unpublished pieces—a moving essay on his mother, and a marvellous evocation of the life and world of William Carey, the nineteenth century missionary and founder of the Serampur Mission and College. Carey brought the first steam engine to Asia (the piece was written as the opening of a projected history of the railways; reading it, one now hopes more than ever that Ian Jack will publish that book). Jack is drawn to the past but never basks in nostalgia; he is an observant moralist, but never comes to easy judgement. He is, above all, a masterly investigative journalist (see his piece on the Hatfield rail crash), and his writing holds many lessons for those in the trade of words. Ian Jack is drawn to the past, but never basks in nostalgia. An observant moralist, he never comes to easy judgement. Four titles that in different ways shed light on the torsions of modern-day Islam and its ragged, rebellious empire. Close to home, two perspectives on Kashmir: an intensely personal and raw memoir by Basharat Peer, Curfewed Night, about growing up in post-1989 Kashmir, a society brutalised by the twin violence of jehadis and the Indian state; and Shadow War: The Untold Story of Jihad in Kashmir, Arif Jamal’s account, based on many interviews, of Pakistan’s long-standing involvement in and shifting strategic commitments to fomenting jehad in Kashmir. Moving further afield, Aatish Taseer’s Stranger to History: A Son’s Journey through Islamic Lands is, like Peer’s, a very personal exploration—a young man’s search for his Pakistani father, and for the possibility of an Islamic identity. Taseer travels from Istanbul eastwards to Lahore, and there are some fine passages, especially his accounts of Tehran’s morose eroticism, and of Pakistan’s ruined civility. At a more global level, Faisal Devji’s The Terrorist in Search of Humanity: Militant Islam and Global Politics, a sequel to his excellent Landscapes of the Jihad, is an immensely provocative analysis of militant Islam. Devji, who teaches at Oxford, sees the Osama phenomena as of a piece with other contemporary global movements like pacifism and environmentalism: all striving towards a global humanitarian ethics. In bin Laden’s obsession with self-sacrifice, Devji finds parallels with Gandhi. Two fine works of history: Srinath Raghavan’s War and Peace in Modern India: A Strategic History of the Nehru Years is a major study, based on primary research and judicious interpretation, of the shifting balance in Nehru’s policy between coercion (or its threat) and diplomacy. A former army captain-turned-scholar and analyst, Raghavan draws on an exemplary range of sources to produce one of most nuanced works by an Indian historian for some years. Columbia historian Mark Mazower’s history of the intellectual and political origins of the United Nations, No Enchanted Place: The End of Empire and the Ideological Origins of the United Nations, opens some novel perspectives: he traces the UN’s origins to the ideas of the Boer ideologue Jan Smuts and the interwar Hellenist Alfred Zimmern, and finds its formative experiences in the obliteration of minority rights during the Nazi era, and in Nehru’s up-take of the new institution as an arena to develop an anti-colonialist politics. Mazower offers a disturbing picture of the ambiguous ideological foundations of this great sacred cow of post-war international institutions. Finally, my own supposed field, politics. It’s rare these days to be excited by a work of political theory, but Cambridge political philosopher Raymond Geuss’s Philosophy and Real Politics is a slim, devastating critique of the flight towards abstraction and pristine idealism in contemporary liberal political thought—a path led by the late John Rawls. Geuss’s work deserves to be far better known—his is a much more powerful critique of contemporary liberalism than that of the more celebrated John Gray. This year, Geuss also published (along with his co-editor Richard Bourke) a path-breaking collective volume on a little-studied but fundamental political quality and skill, entitled Political Judgement: Essays in Honour of John Dunn. I have to declare an interest here, since John Dunn was my teacher and I have contributed an essay to the volume—but it contains many other major figures (Quentin Skinner, Istvan Hont, Richard Tuck, Adam Prezworski, Sudipta Kaviraj among others), and those essays are of such quality that I feel bound to note it. This year also saw the publication of Amartya Sen’s The Idea of Justice, a major statement that concentrates Sen’s philosophical reflections on this subject over the past four decades into an argument for a more practical understanding of justice, one that pursues practical realisations of justice, Nyaya, rather than the often impotent securities of theory, Niti. (Sunil Khilnani’s The Idea of India will appear in a new edition next year, and he is also working on a new book, The Great Power Game: India in the New World). Your Face Tomorrow: Poison, Shadow, and Farewell by Javier Marias. This distinguished Spanish writer has long attracted a cult following, and though this third volume of his fictional trilogy is often difficult and obscure, it is also full of subtle satisfactions found nowhere in contemporary fiction. The Unnamed One by Joshua Ferris. Perhaps the most unpredictable and interesting among young American writers, Ferris’s new novel, which will be published in early 2010, will further establish him as an original chronicler of the American dream in the troubled new century. Brooklyn by Colm Toibin. Toibin’s spare, delicate fiction is an exemplary lesson in how some extraordinary drama and tension lurk in the most ordinary and invisible lives around us. The Real Story of Ah Q and other Tales of China: The Complete Fiction of Lu Xun Many of us know of Lu Xun as the Chinese master of short fiction and the feuilleton. Julia Lovell’s translation in a new Penguin Classics edition is the finest introduction possible to the unique promptings of modern Chinese Literature. Sanshiro by Natsume Soseki (Translated by Jay Rubin): I have been reading this Japanese novelist with much pleasure, and this new translation of his famous coming-of-age novel reminds you how subtly modern Asian writers like Soseki and R.K. Narayan reworked the conventions of the classic Western bildungsroman. The Perplexity of Hariya Hercules by Manohar Shyam Joshi (Translated by Robert A. Huekstedt)—Books with genuine humour are quite rare but the story of Harihar Datt Tiwari, better known as Hariya Hercules, who spends all his free time attending to his aged, chronically constipated father, is quite comic in parts. Written For Ever: The Best of Civil Lines, edited by Rukun Advani: I found Sheila Dhar’s two essays in this anthology, A Taste of British Guiana, her hilarious encounter with the Caribbean Hindu community, and The Taming of Raga Adana, where a Hindustani singer bemuses Lady Linlithgow with the intricacies of his raga, laugh-out funny. Sheila was a very gifted mimic who had a great ear for the idiosyncracies of speech and customs. These two pieces effortlessly capture her comic genius. Deaf Heaven by Pinki Virani: In her first novel, Pinki Virani has captured the way Indians talk. It’s a book that breaks forms and is funny in parts. Lata Mangeshkar...In Her Own Voice is a series of conversations the diva recorded with film-maker Nasreen Munni Kabir. It’s also a layered history of Indian cinema. Hero, a two-volume history by Ashok Raj of the film hero from the silent era to Dilip Kumar, and from Amitabh Bachchan to the Khans and beyond. Tipu’s Tigers by Victoria & Albert Museum curator Susan Stronge is an intriguing study of how Tipu Sultan used the image of the tiger as a symbol of political supremacy. The best art catalogue is Anish Kapoor, to accompany the artist’s London show — capturing its astonishing scale, innovation and range of materials. The Emperor’s Table: the Art of Mughal Cuisine by Salma Husain: Not everyone may replicate these resplendent dishes at home but all can indulge vicariously in imperial repasts. The Ultimate Low Fat Indian Cookbook by Shehzad Husain and Manisha Kanani: This dieter’s dream-come-true is a jugalbandi by the two authors, a Pakistani and an Uganda-born Indian. Healthy Indian in Minutes by Monisha Bharadwaj: Provides mouth-watering glimpses of the diversity and subtlety and gentleness of our cuisine with gorgeous photographs. Fifty Rice Dishes by Fifty Best Chefs: Sabina Sehgal Saikia’s last gift to her readers, this is a celebration of basmati from the classic to the confusingly fused, with easy-to-follow recipes. Sal by Neeraja Mattoo: This little gem demystifies the waazvan and Kashmiri Pandit non-vegetarian. It includes, but goes beyond, the usual gushtaba-rishta, rogan josh, tabak maaz, tsuk vangun, alu dum and hak. Especially good is the section on dried vegetables. The Hour Past Midnight by Salma: Lakshmi Holmstrom’s rendering of this nuanced portrait of the Tamil Muslim community is the most outstanding translation I have read this year. Holmstrom handles this path-breaking work with a gentle but firm hand. Aria—Poetry Translations by Sudeep Sen: In this artfully put together anthology, Sen translates from many languages. Sen’s own translation of Jibanananda Das’s Banalata Sen is luminous enough to carry the entire book. The Hindus: An Alternative History by Wendy Doniger: As a publisher, I wish I could have published this. We so rarely get told our histories so well, and this book does it so masterfully. Neti Neti by Anjum Hasan: Anjum writes about the young drifting city girl in India in a way I had never read before. I bid for this book and lost. Of Love and Other Obstacles by Aleksandar Hemon: I consider Hemon the most talented writer in the English language of his generation. The stories in this collection move between present-day Bosnia (where the author is from) and of being a foreigner in the US. It’s a clever, playful book with writing that’s strange and vivid. The Girl Who Kicked The Hornet’s Nest by Steig Larsson: This was the year of the Millennium Trilogy by the Scandinavian thriller writer. Larrson has created in Lisbeth Salander the most beguiling heroine I have read in years—a tough, delinquent young woman who is also Sweden’s greatest hacker. I am devastated that it’s over.